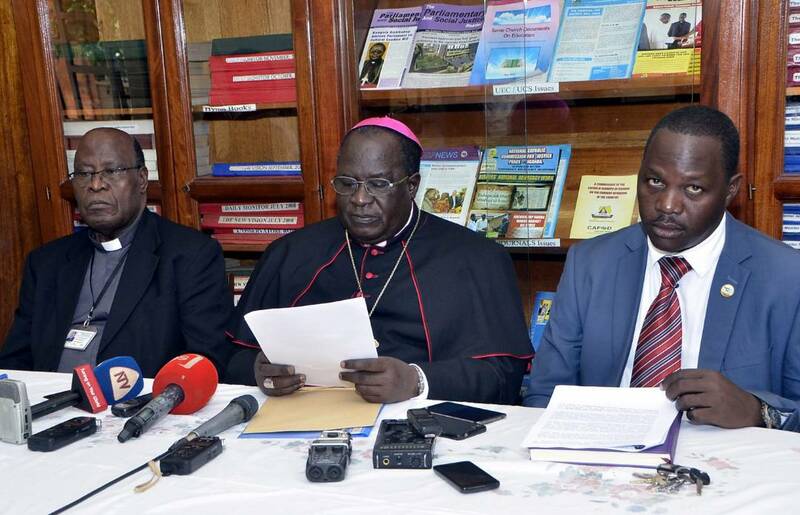 KAMPALA – The Uganda Episcopal Conference has confirmed its leadership for the next four years, with the announcement of Bishop Joseph Antony Zziwa of Kiyinda-Mityana Diocese as it’s chairman. 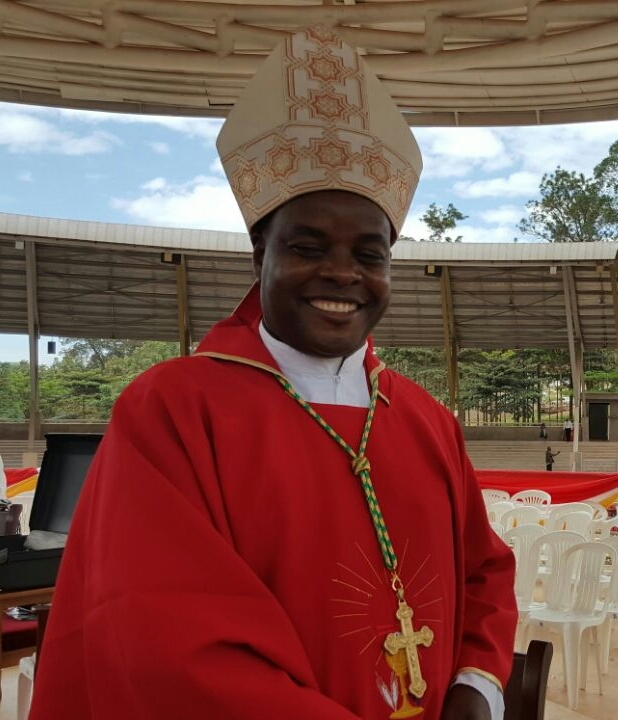 Bishop Zziwa, who holds a doctorate in philosophy and Theology, will be deputized by Fort Portal Bishop Robert Muhiirwa Akiiki, Secretary General Msgr. John Baptist Kauta said in a press release on Monday afternoon. “My dear brothers and sisters, I would like to announce to you the new office bearers for the Uganda Episcopal Conference,” Msgr. Kauta said in a press statement. Bishop Zziwa was elected by the Assembly of Bishops that sat at St. Augustine Institute on Sunday, November 10 evening and has replaced Archbishop John Baptist Odama of Gulu, who has headed the conference for the last 8 years. Bishop Zziwa has been Archbishop Odama’s deputy for the last 8-years. According to Msgr. 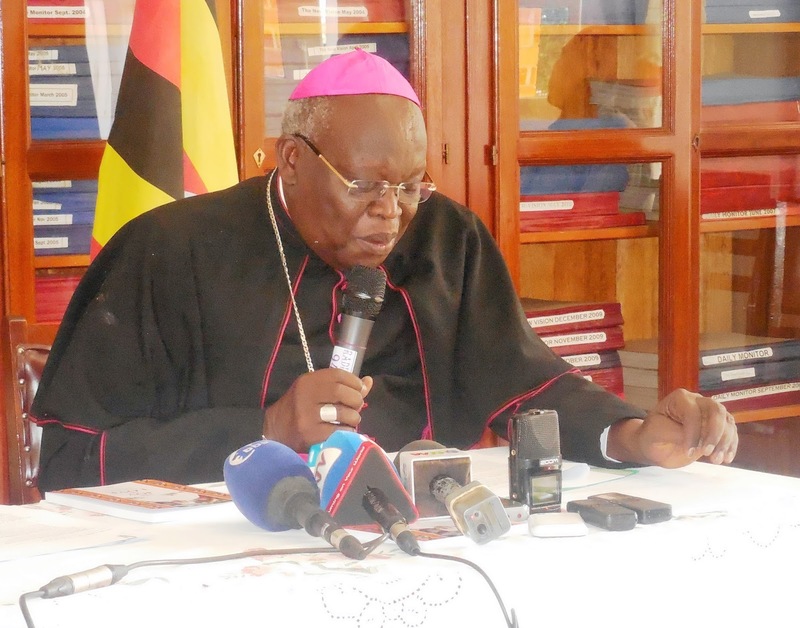 Kauta, the four Archbishops – Paul Bakyenga of Mbarara, Odama of Gulu, Cyprian Kizito Lwanga of Kampala and Emmanuel Obbo of Tororo, will join Bishop Zziwa and Muhiirwa on the Executive Board, which supervises the Catholic Secretariat on behalf of the Conference. Bishop Callist Rubaramira of Kabale, will also sit on the Executive Board and has replaced Archbishop Bakyenga, on the Centenary Bank Board of Trustees, after the Mbarara Archbishop elected to retire from the Catholic bank’s board. 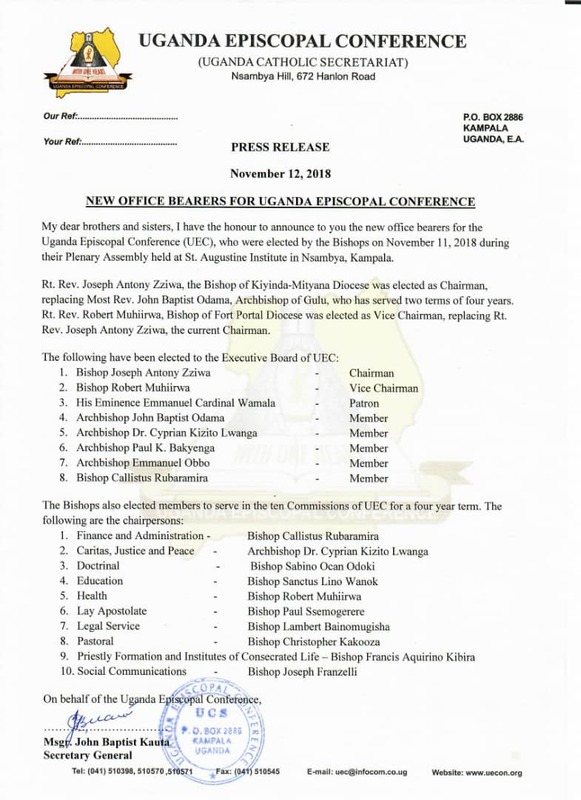 The UEC has also named several Bishops to head different Commissions including – Bishop Rubaramira, to head Finance and Administration, Archbishop Lwanga to head Caritas, Justice, and Peace, Arua Bishop Sabino Odoki will head the Doctrinal Commission, Bishop Sanctus Lino Wanok of Nebbi diocese will head education, Bishop Paul Ssemogerere of Kassana-Luweero will head the Lay Apostolate Commission while Bishop Lambert Bainomugisha, the auxiliary Bishop of Mbarara will head the Church’s Legal Service Commission. 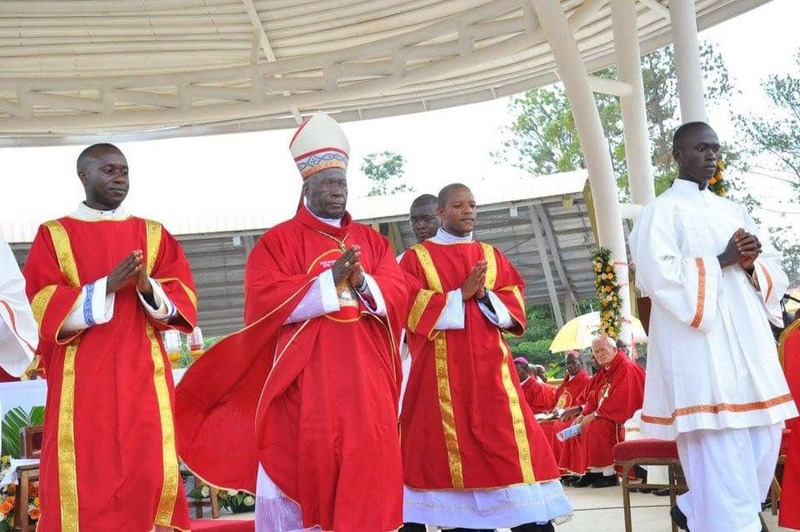 Bishop Bainomugisha holds a P.h.D in Canon Law. Elsewhere, Bishop Christopher Kakooza of Lugazi will head the Liturgical Commission, while Bishop Aquirinus Francis Kibira of Kasese will head the Priestly Formation and Institutes of Consecrated Life (Seminaries) and Bishop Joseph Franzelli of Lira will continue to head the Communications Commission. Bishop Franzelli is at the forefront of setting up the Catholic TV Network. Rt. Rev. Joseph Antony Zziwa was born on 16th February 1956 at Kasambya village, Mubende Parish in the Diocese of Kiyinda-Mityana. He was ordained a priest on 16th November 1980 for the Archdiocese of Kampala. He was appointed Co-Adjutor Bishop of Kiyinda-Mityana Diocese on 18th December 2001 and consecrated a Bishop on 16th March 2002. He was appointed Bishop of Kiyinda-Mityana on 23rd October 2004 and ceremoniously enthroned on 21st November 2004, becoming the third Bishop of Kiyinda-Mityana Diocese.